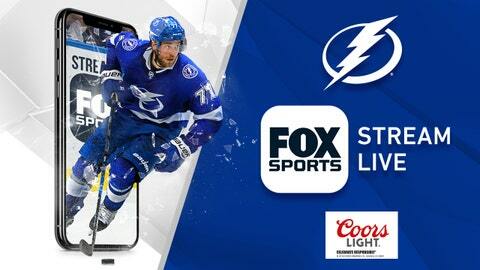 TAMPA, Fla. (April 9, 2019) – FOX Sports Sun, the regional television home of the Tampa Bay Lightning, announced the 2018-19 Lightning regular season finished as the highest rated ever in the 26-year history of the franchise on the network. The Lightning posted a 2.34 HH rating average (43,885 homes) over the course of 70 regular season games on FOX Sports Sun. The 2.34 HH surpassed last year’s high mark (1.83 HH over 75 games) to finish as the new highest- rated Lightning season ever and marked a +28% increase for the Lightning in year-over-year viewership. It also was the Bolts sixth consecutive season of regular-season ratings growth on the network. — March 2019 surpassed December 2018 (2.36 HH avg. ), January 2018 (2.21 HH) and January 2013 (2.21 HH) for the most-watched crown. — For perspective, the last regular season Lightning game to register a 3.0 HH or higher before this season was vs. the Chicago Blackhawks in 2016. It was the only game to reach the 3.0 HH mark that season. — March 21 at Carolina (3.09 HH). Follow @FOXSportsBolts on Twitter and check #LightningTVRatings for the latest information surrounding Lightning television viewership.